Humanity came out on top in the previous Anomaly games, but apparently that was just the beginning – a test invasion, if you will. 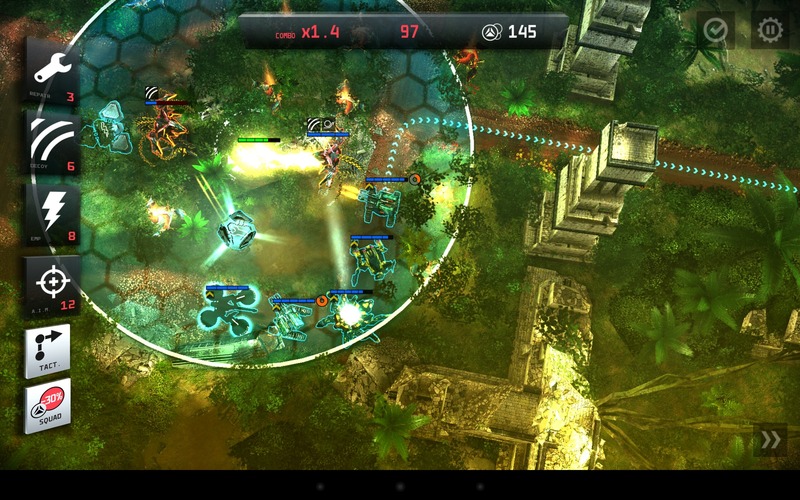 The alien towers have returned with a vengeance in Anomaly 2 and the world is a little worse for wear. In fact, we kind of lost the war. 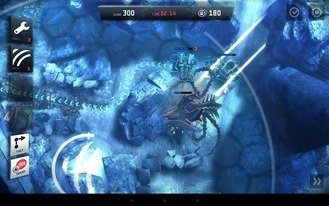 This is the backdrop for Anomaly 2, which employs the same reverse tower defense gameplay that made the original games so much fun. Is this just more of the same, or does Anomaly 2 bring something new to the table? 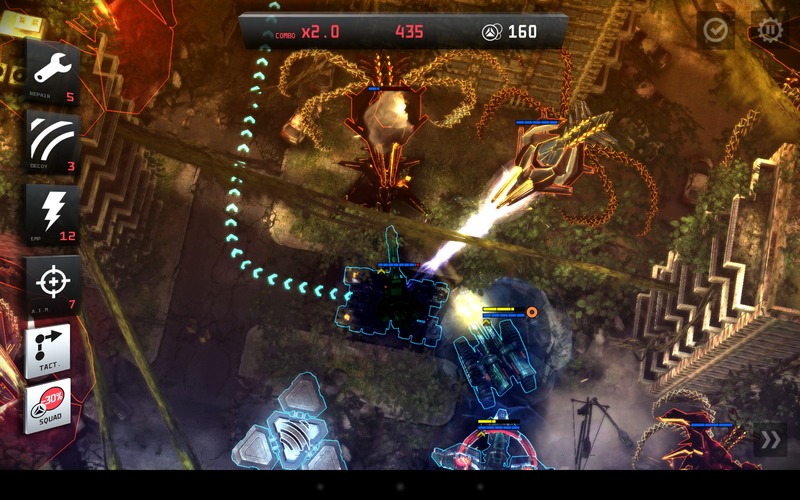 Even if you didn't play one of the previous Anomaly games, you've probably played your fair share of tower defense titles, right? 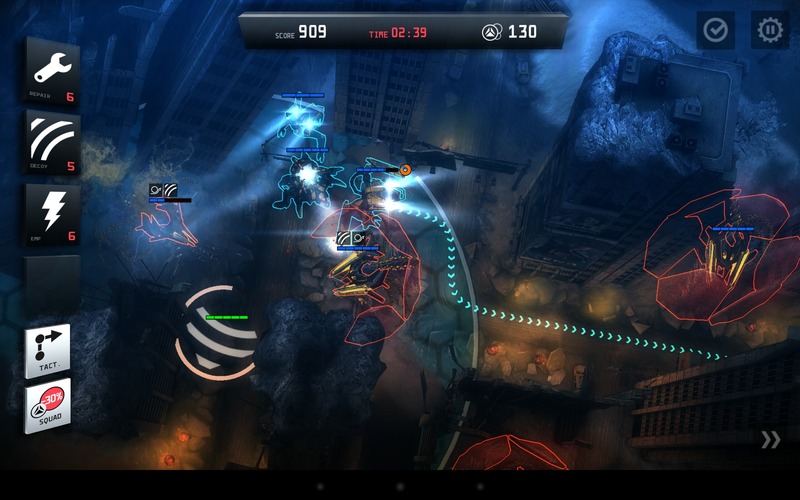 Anomaly 2 is the same basic idea, but you're in control of the creeps instead of the towers. You're a little more active than the average tower defense creeps, though. Your convoy of military vehicles isn't just driving, heads down, hoping to make it to the other side before they're all blown up – they can shoot back. 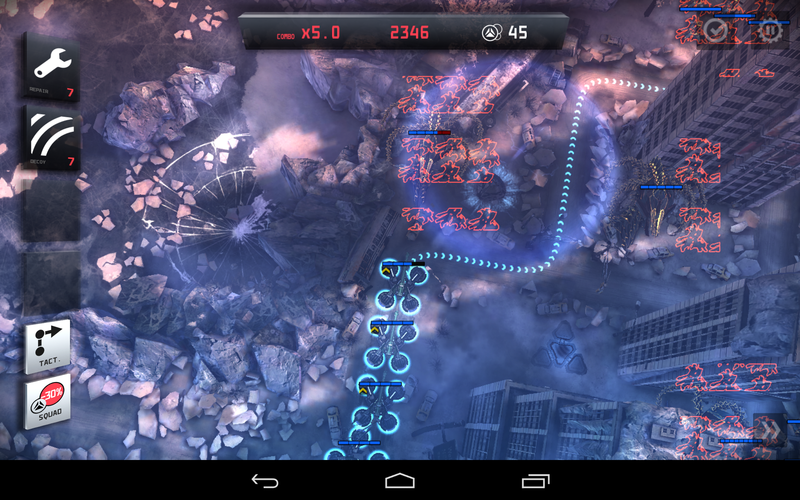 Anomaly 2 eases you into things, slowly introducing new vehicles and tactics. If anything, I'd say this process might be a little too slow, but it guarantees the game is accessible to those not familiar with the style ahead of time. 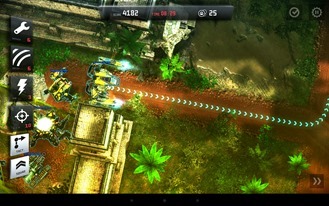 You can control both the composition of your convoy, and the path it takes in each level. 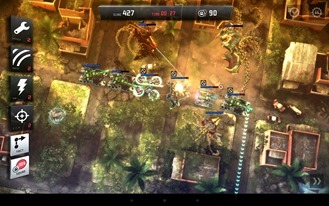 Bounties are awarded throughout the levels that can be used to add new units, or upgrade existing ones. As for the units at your disposal, they are all new for this title. 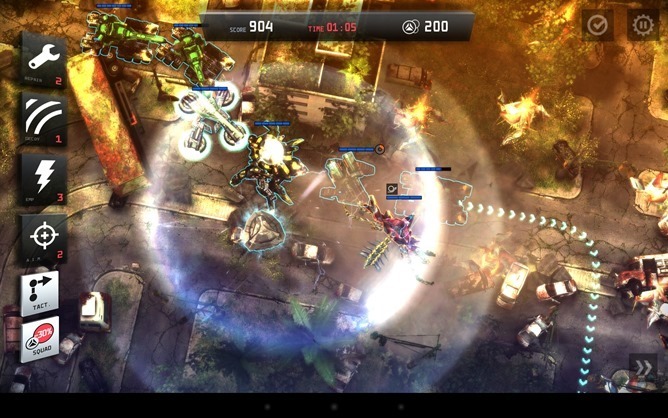 Anomaly 2 is set a few decades in the future when military technology has apparently become dependent on giant robots. Not that this is a bad thing – in fact, it's pretty cool. Each of the units available in the game has two different forms, which you can toggle between by double-tapping on them. You're not just switching between conventional rolling thing and giant walking robot thing – there's strategy involved. Morphing your vehicles also changes their weapon mode. 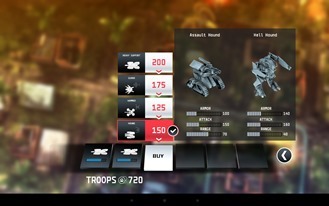 For example, the basic Assault Hound is a workhorse unit with dual miniguns. However, it's not very good at close range. For that, you switch over to Hell Hound mode. The unit does a little Transformers impression and becomes a walking mech with dual flamethrowers that do huge close-range damage. It's the same story with all the units from the long-range Sledge Hammer tank to the Gripper Guard support unit – you have to choose the form that makes the most sense as you make your way through the level. So maybe you've figured out what all the units do, but that's only half the equation. You also need to know what those towers are going to do when you're getting close. Is that the one with the slow rate of fire and are of effect damage, or the one with multi-targeting? You better know so you can plan your route and get your units in the right mode. So now you have it all down, right? Well, there are also the command abilities – they're like power ups that can turn the tide of battle. Need to repair your convoy? Drop the repair ability on the map and you'll be healed as you drive through it. Need a diversion? Use the decoy ability. You won't make it unless you manage your command abilities well. Strategy like this is even more important in Anomaly 2 than it was in the original titles, and that makes it incredibly engaging. 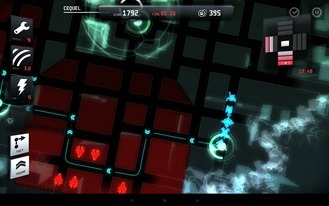 There aren't too many levels in Anomaly 2, but they're much longer than you'd expect. Some might take you 30 minutes to beat, so you're looking at a few hours of gameplay in this title. Luckily, there is a checkpoint system in the levels. I also appreciate that the developers succeeded in mixing things up a bit while adhering to the basics of gameplay. 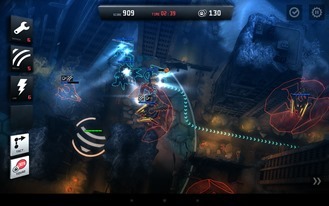 For example, there is one stage where you take on a more defensive role of beating back advancing waves of towers that sprout up, moving closer to your facility. In another you have to capture radar dishes by clearing the towers, then bounce a beam between them. You're still just driving around shooting at towers, but it's a clever twist on the gameplay. So the single player stuff is great, and I had high hopes for the mutliplayer aspect. See, you take on one opponent and one of you controls the convoy (like in the game) and the other builds towers. You have to see who can reach a score target first, but taking out the other party. The problem, though, is that I haven't been able to get it working. 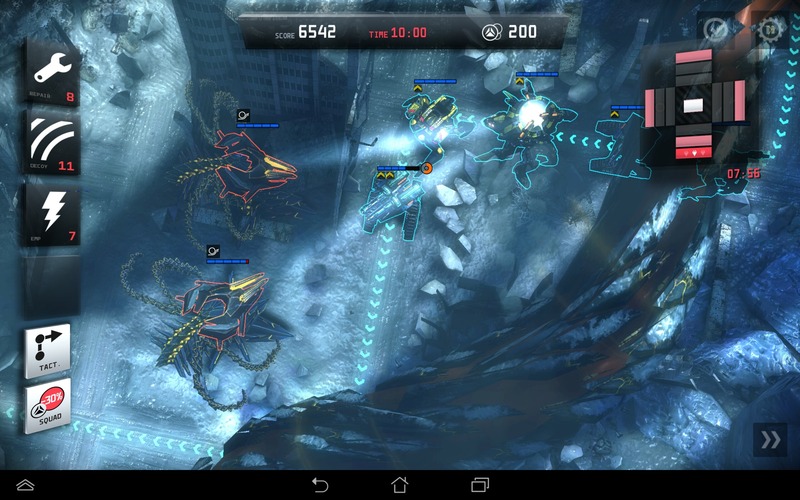 Anomaly 2 uses Google Play Games for multiplayer, but the game doesn't see to respond to the invitations – it just sits and loads forever or doesn't even show the proper buttons to start the match. I'm sure the devs will sort this out, but it's still a bummer. Anomaly 2 is a 1.5GB download, which is pretty huge as far as mobile games go. 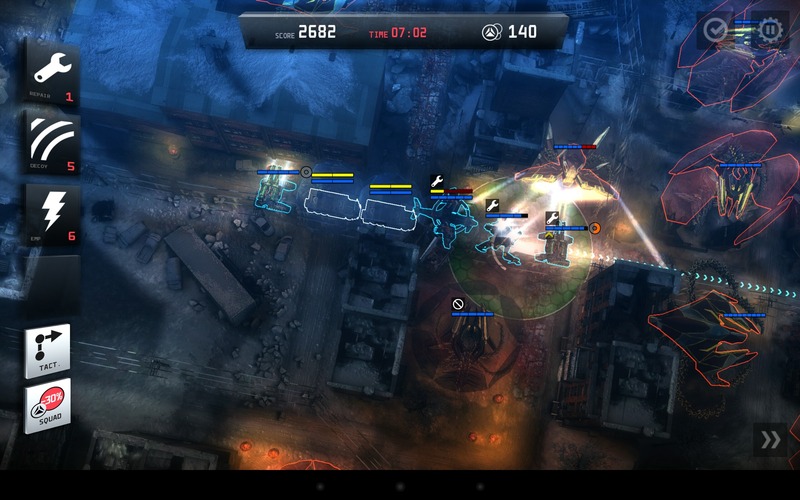 You would expect nice graphics for that much data, and that's just what Anomaly 2 offers. The game is extremely impressive at first glance, then it only gets more impressive as you start playing. The textures at work here are super-detailed – everything looks great at the default view distance, but you can get in closer and see even more detail. The mechs aren't just good enough to be convincing from far away. You can get up close and watch the pistons on the legs move and the arms swing wide with weapons free. Anomaly 2 makes heavy use of lighting effects – sometimes I might say a little too heavily. 90% of the time the glowing and flashes are used to good effect. Then sometimes they just blot out the map and make it hard to keep track of what's going on. Maybe that's by design as it does heighten the tension when there are a lot of towers exploding, but I can't say. You can see a little better what's going on thanks to the blue and red outlines around your units and the enemy towers, respectively. This game will tax a mid-range device, but the visuals seem to scale well on my test devices. 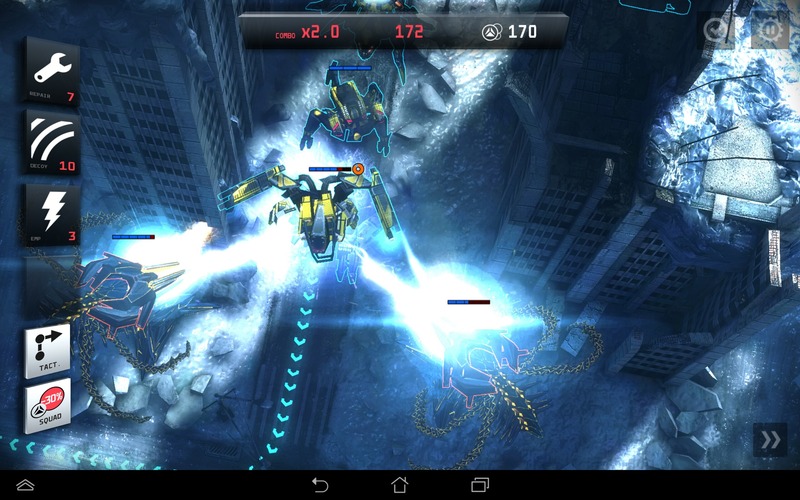 Everything is smooth on the TF701T, Nexus 7 (2013), and Nexus 5. 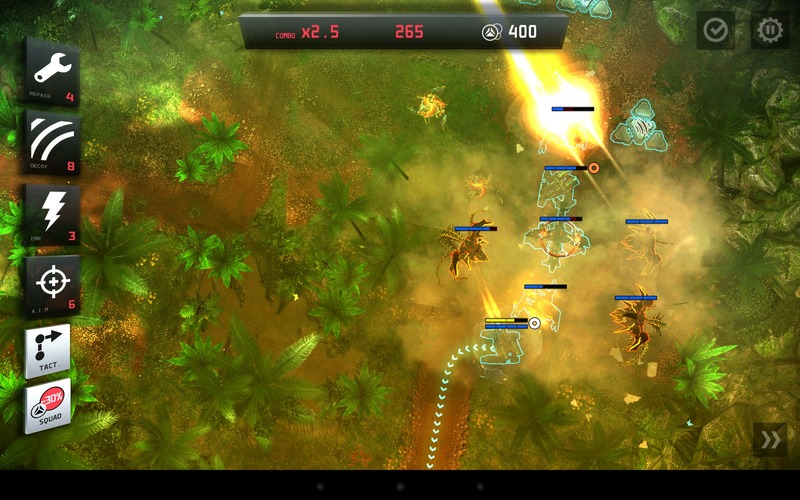 However, I've noticed an odd visual quirk on Android 4.4. The aforementioned red and blue outlines aren't showing up where they should, and are instead floating in space. We've reached out to the devs, and a fix should be rolling out soon. The gameplay is more challenging in Anomaly 2 than it was in the previous titles, by my estimation. 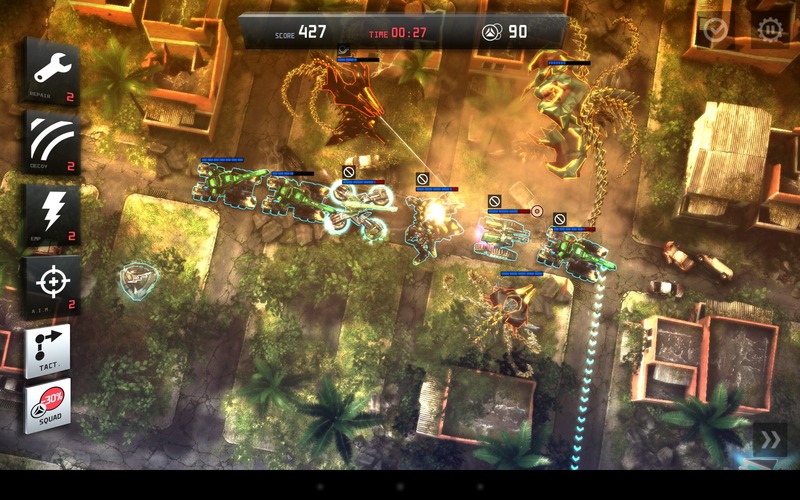 You can't just roll through the levels and overwhelm the towers with force. If you're not morphing and deploying command abilities, you'll have issues. Choosing the right path can also mean the difference between victory and defeat. 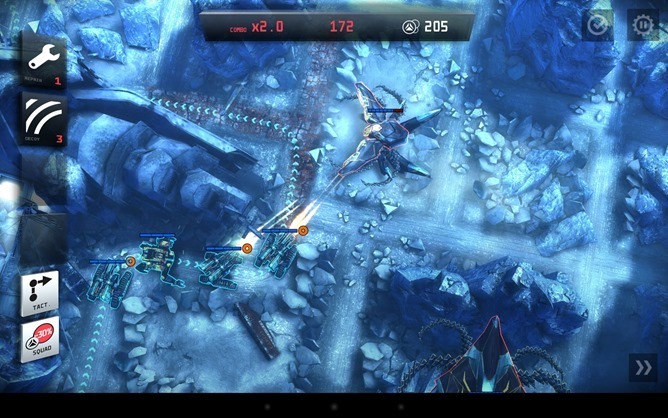 Anomaly 2 is rapturously lovely, and it plays smoothly in spite of the high-end visuals. 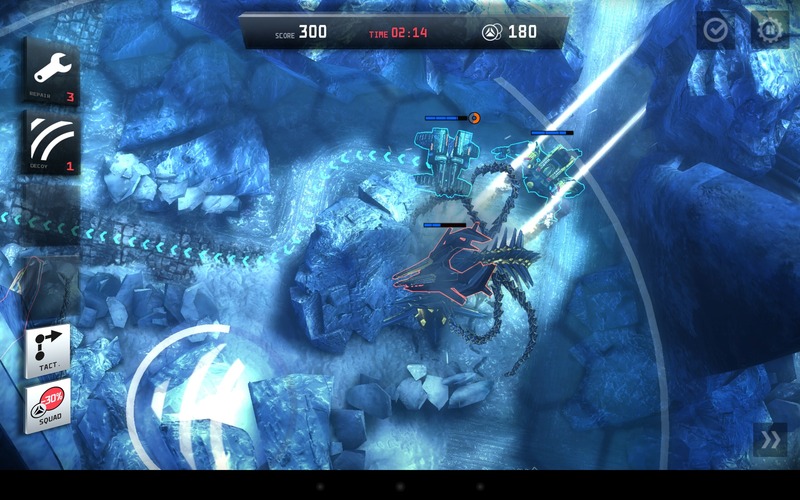 Other than that Android 4.4 issue, there are no problems with the performance or visuals. 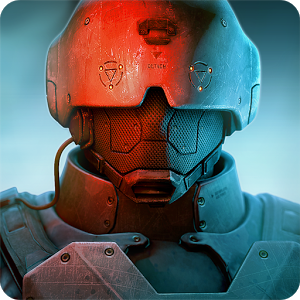 The busted multiplayer is annoying, but the single-player game is one of the most enjoyable gaming experiences I've had on a mobile device. It's an extremely attractive game, and well worth 1.5GB of your storage space. It's also worth $4.99 of your money.